Prettify is a must when you are a mother, ok please correct me I am wrong ifyou believe that taking care of yourself for your husband is a no-go. Well, I think that the last time I was able to visit a salon was more than 6 months back! Mummy woes. 😞 Manipeds and salons are rare in my vocabulary ever since I had kids. So getting a chance to experience a free manicure.. Well you could say that I really exerted my effort to stay in line with absolutely no regrets. 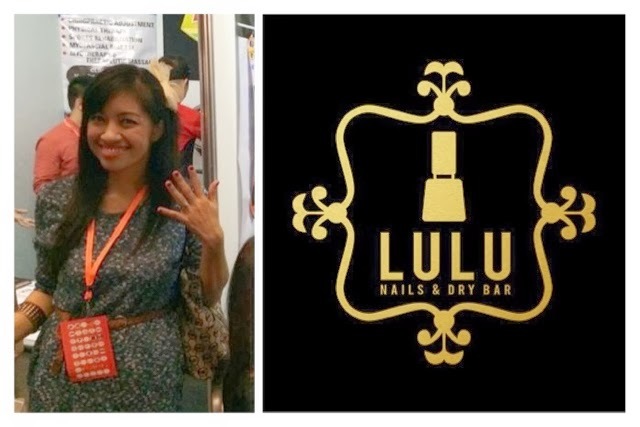 During my Blogapalooza visit, I was able to visit Lulu Nail and Dry Spa's booth and very excited to see what they had to offer. 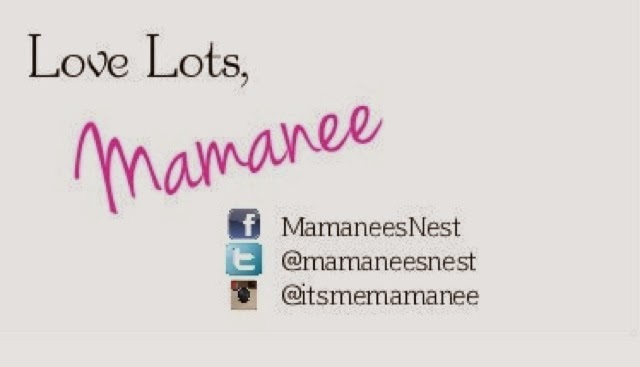 I could say that they could be categorized as a high end salon without breaking the bank or your budget sanity. The products that they use is no less than high quality, their nail varnishes consist of imported brands, from regular nail polish, Soft-Gel nail polish and even designer brands like Chanel, YSL and Dior. Now whoever thought that adding 250php only to your manicure rate could get you to experience luxury? Lulu's Nail polish collection at the Blogapalooza booth. 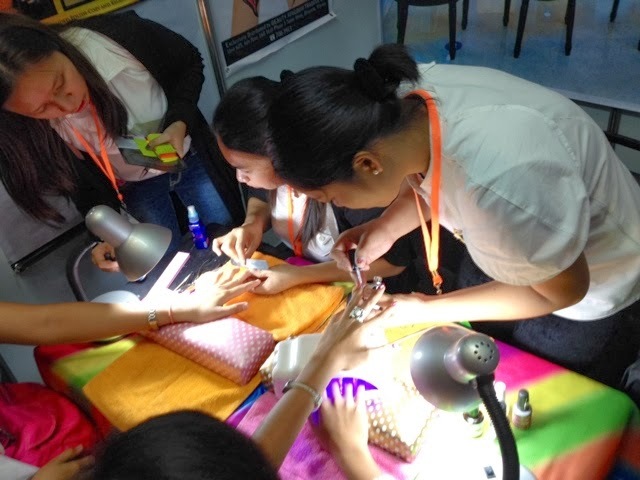 At the booth they offered free manicure with your choice of either regular or Soft-gel nail polish, you could also request for nail art or nail stamp art. I opted for the soft-gel nail polish. Being a hands on Mum, I knew I needed a more sturdy nail polish that would last. 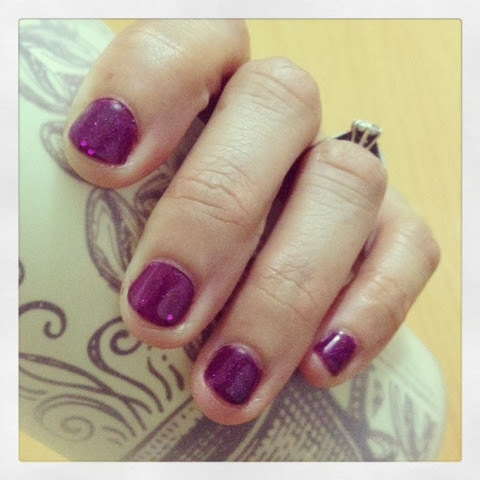 Based on the feedback from the web, gel nail polish could last up to 3-4 weeks with luster shine and no cracking. Hmmm sounds something that I could depend on. My turn came along and after cleaning and buffing my nails, I was handed over to nail technician Michelle, who took care of my nail polish. I chose a dark purple hue since I love how it can make your skin lighter and Michelle suggested to add glitter on top for a more lustrous effect. Michelle applying the soft-gel polish on my nails. 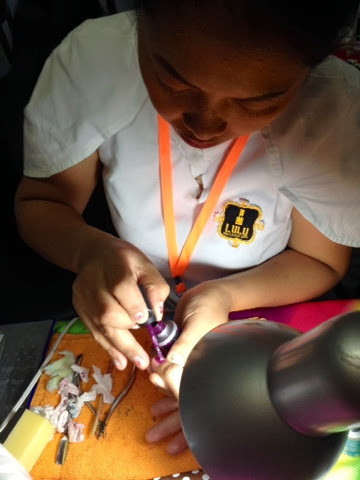 Turns out that soft-gel nail polish is not treated in the same way as the regular type, Michelle says that they were trained on the proper way to apply soft-gel nail polish and that even the removal is specially done. The best thing is that there is no wait time for it to dry, with the help of the UV light, it dries and seals the color right then and there. Hurrahhhh! Perfect! Since I still had to go around the other booths. I was very happy with the outcome, my nails looked fabulous! This was taken 2 days after, washing dishes, bathing the kiddos, washing my hair and doing a bit of laundry of my delicates! 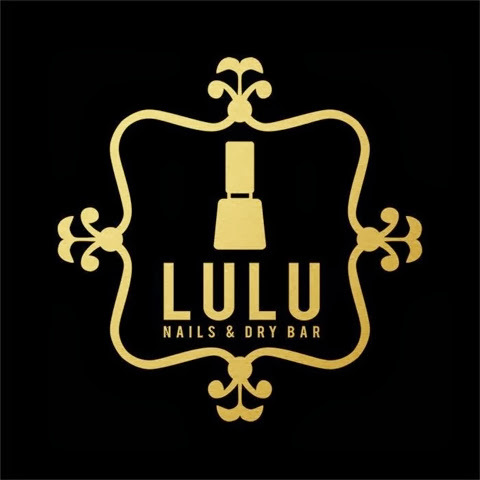 I plan to visit their salon soon since they have a Little Lulu offer with organic nail polish for kids. Being the little princess Dumpling is I'd like to see how it goes with her first nail polish treatment which is only Php180 for manicure and Php200 for pedicure. That's a pretty good price considering the package includes nail shaping soak, cuticle care, massage, mosturize, hydrating mist, buff and polish. 💟 Hair treatment, hair spa, Mythical Oil blowout and hair colour. 💟 Hair and airbrush make-up care of HMUA Dior Co which is by appointment. You can expect make-up brands like Chanel, YSL, Clinique, Shu Uemura, Bobbi Brown, Shisheido, Make-up forever and more. 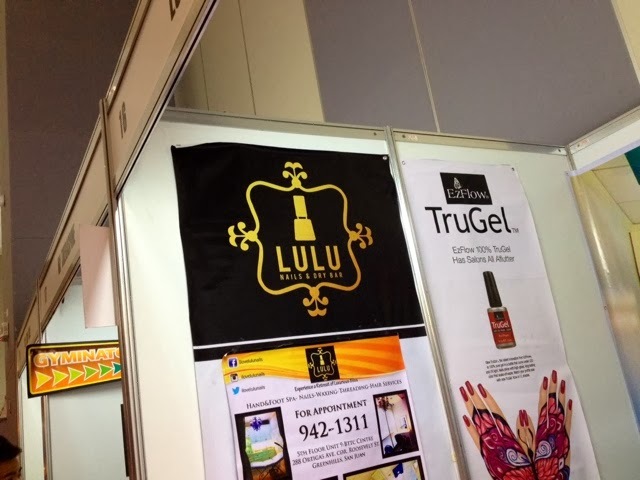 Lulu Nail & Dry Spa is located at 5th floor BTTC Centre 288 Ortigas Ave. corner Roosevelt St. Greenhills, 1503 San Juan City.